CNSNews.com, "The Right News. Right Now," is an indispensable online resource for conservatives in public policy, the media, and at the grassroots level. The site features the latest unbiased headlines and exclusive stories from Capitol Hill, plus current national and international news videos on culture, entertainment, sports and health. CNSNews.com showcases top conservative commentators like Brent Bozell, Patrick Buchanan, Walter E. Williams, and David Limbaugh, who present all legitimate sides of a story and debunk popular, albeit incorrect, myths about cultural and policy issues. 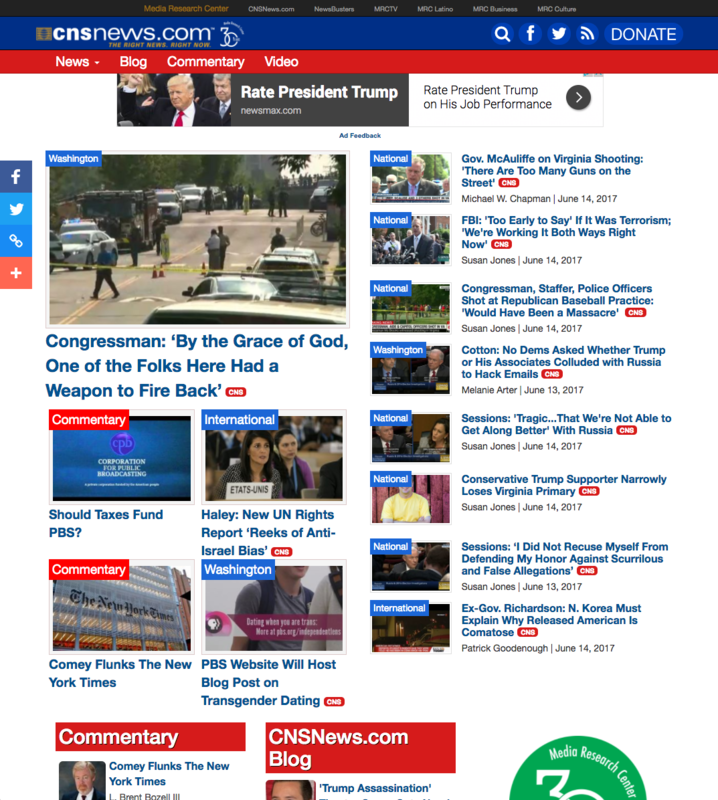 A multimedia mix of display, email, and mobile opportunities provide prime access to this highly affluent CNSNews.com crowd. These active online consumers have proven time and again that they are highly responsive to direct response campaigns. They love to try the latest products on the market and then dedicate to their favorite brands. CNSNews.com readers enjoy politics and a wide variety of recreational activities—movies, travel, sports, online gaming, diet and health. CNSNews.com is a lively social group that will give you free added engagement by spreading the word about your product, service or cause. Reach up to 30 million loyal, engaged readers. Contact us about advertising opportunities today.